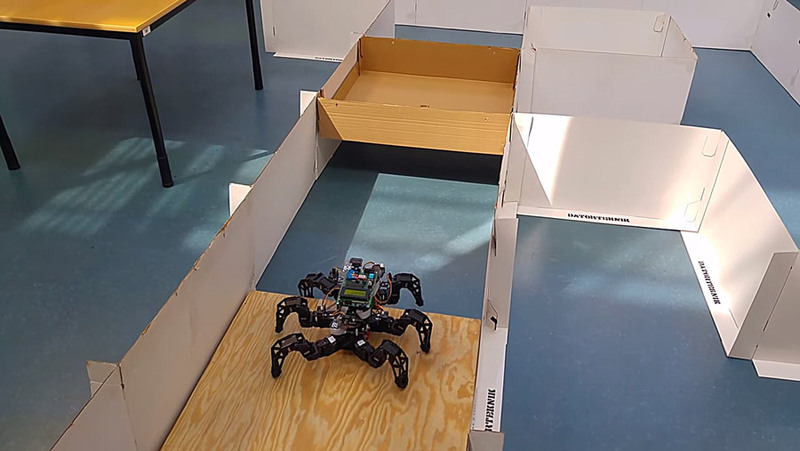 Spider Pig, the autonomous Hexapod! Instructables user and student at Linkoping University, FredrikG3 has made an incredibly clever autonomous hexapod named Spider Pig! Using the Trossen Robotics AX Hexapod as a base, Fredrik has added an array of sensors, a raspberry pi, and well conceived code to allow the hexapod to navigate high and low terrain while making its way through a series of corridors! Check out the video and learn more on the spider pig instructables page!